The winner of Lina's book is: Candace! Congratulations, Candace. Send me your contact information and I'll pass it along to Lina. Thanks to everyone who participated. Hi everyone! I’d like to thank Lynda for the chance to post on her great blog. 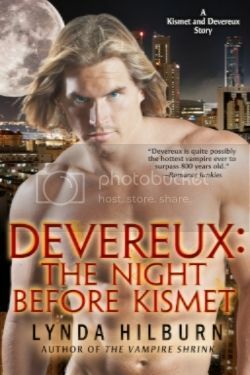 I love to read other authors’ success stories. I appreciate the opportunity to tell you mine. How it happened for me: I had written around six full length novels before I decided to try my hand at writing paranormal. Paranormals were just getting big on television. Buffy was at her peak when I realized I should be writing a paranormal. When I started writing book one in the Jess Vandermire Vampire Hunter series, my characters came alive in the fictional world I’d created. They had substance and angst and excitement. I thought if they can hold my interest, maybe they’ll hold other peoples’ interest as well. And they did. Shortly after Grave Illusions was written and polished about eighteen times, I sold the book to ImaJinn Books and was offered a series before it even hit the shelves. That was in 2007. 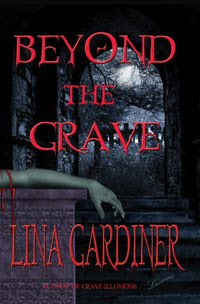 In 2008 Beyond the Grave came out, and in 2009 Grave New Day is at the publishers. My first book, Grave Illusions, won the Kiss of Death’s Daphne Award Paranormal-Time Travel-Futuristic category and the Futuristic, Fantasy and Paranormal First place in the Prism Contest for Best First Book. I couldn’t have asked for better validation that I was on the right track. In retrospect, I’m probably as likely to write paranormal as anyone out there. I lived in a haunted house as a teenager. The house my grandfather built. We moved back to our hometown when I was thirteen. Talk about a shock to a young girl’s system. Going from a normal world into a world where someone walked the house at night, opened doors, turned on lights and touched people on the shoulder when they weren’t looking. An eye opener. What it taught me is there are more things in our world than can be scientifically explained or categorized. That aspect of my experience fascinated me. Can’t say the same for our house. I was terrified to be there alone. Our ghost wasn’t vindictive but she was mischievous. My family has since sold the family homestead and I hear from my cousins who live across the road that she is still there. Still haven’t written a ghost story, but I’m sure that day will come. Luckily for those of us who write paranormal, the genre and its many sub-genres are growing in popularity and in imaginative scope. I’m always amazed at the wonderful stories out there. And, with all of the teens gobbling up YA paranormals, odds are they’re going to want the same genre of books when they grow up. By my way of thinking that means paranormals are likely to be around for a few years to come. 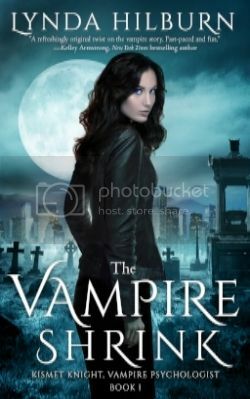 Vampire Police Captain Jess Vandermire is hunting a serial killer vampire. The trouble is, Jess is experiencing blackouts, and every time she does, another woman turns up dead. Has she slipped over the dangerous slope into full vampirism? Is she the serial killer she’s hunting? 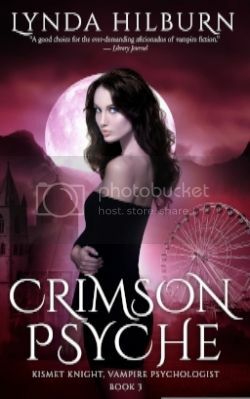 Lieutenant John Brittain makes it his job to find the killer and prove Jess innocent, but it’s hard to be human in a world of super-strong, super-fast vampires. His best weapon is his tough-cop intellect and he’s using it for all he’s worth. 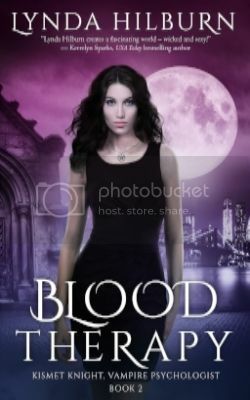 Yes, Jess is a vampire, and yes, she’s capable of killing. He knows, however, that she hasn’t committed these crimes, and he has the horrible feeling that if doesn’t catch the killer soon Jess will be the final victim. 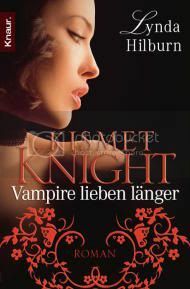 As Jess and Britt wage war against this evil vampire, it becomes a battle for the last vestiges of Jess’s own humanity. Soon the question becomes, who will draw first blood? New York City is in the grasp of a deadly, unseen enemy. At least unseen by normal society. Lieutenant Jess Vandermire, New York City police officer, is uniquely specialized to recognize and fight this threat. It’s her job to forge a black ops team, an assortment of men and women who wouldn’t be considered for the job under normal circumstances. But these aren’t normal circumstances. The team has to be tough, and if need be, they have to be expendable. Jess understands what she’s fighting and what’s at stake. For her, it’s all about retribution until ex-cop John Brittain is recruited to her team. Suddenly, her priorities aren’t quite so easily definable. John Brittain has a chip onhis shoulder and is as tough as they come. But is he ready for the whole truth? That combating “super” vampires whose primal need for blood and the addictive drug “Sunshine” is only the beginning of their problems? And when Jess tells him the truth about herself, will he stay and fight or will he turn against her and not only threaten their lives but destroy the fragile relationship developing between them? 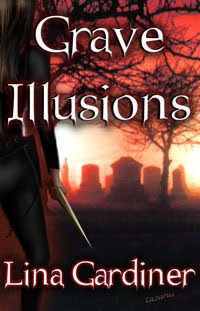 Lina will be giving away a signed copy of Grave Illusions, along with a pen and bookmark, to one commenter. Her winner will be selected and posted on Tuesday evening. Stop back by to see if you've won. Wow, I am the first to comment. Well, let me start out by welcoming you here!!! I love meeting new people at Ms. Lynda's place! She is such an amazing woman! Thank you for sharing your story with us. It is very interesting and insightful to read how each individual person "made" it. Please drop my name in the hat for a chance! I hope you enjoy yourself here! Have a great day! When I started reading Grace Illusions, I couldn't put it down. I can't wait to read Beyond the Grace. Congrats on your success. I'm on Clues and News Digest, so I usually miss blogs. Glad I caught this one! I've been pulling my hair out for two years writing a romsus--maybe I should try my hand at paranormal? Hi Lina! I LOVE these books! I have both of them on my keeper shelf (and there's not a lot there). I can't wait for the third book in the series. It's been a long year! Do you have anything new on the paranormal horizon? I have been waiting on pins and needles for your 3rd book of the series - CAN'T WAIT. SOOO glad to hear it is at the publishers, my time of wait will be short?! My friend here at work feels exactly the same as I do, she was SO upset when she read the last page of "Beyond The Grave" - she came into the office the next morning, and screamed at me! "I can't believe she ended her book that way, she killed John!!! She had better not have killed John!!!! When is the next book coming out???" I just laughed at her, and told her to wait, like I'm doing!!! She loves your writing, as do I - you know I am your biggest fan!! You're a new author for me, so I'll be taking a look around for your books which sound great. Congrats on your success! 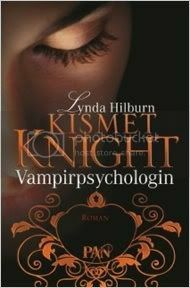 Hi Lina - you're a new author to me, too, but I really like the sound of your series. I have to admit I've been slow to catch the Buffy wave. It's recently started on TV (rerun) down here in NZ and I love the series. Now I see what all the fuss is about! Thank you for the great guest post Lina. I really enjoyed the excellent blurbs. Your books sound intriguing. I've put you & your writing on my ToBeRead list. Okay here goes. The blog wouldn't let me comment a second ago. Cecile, lovely to meet you too. Yes, and Lynda's doing a great job marketing her books. I agree with you I love to hear author's stories on how they got published. Thank you so much for saying that. You've made my day. And thanks for coming over to the blog today. I've got a few romantic suspenses in my to be published pile, too. If you don't mind a little advice, I'd like to say that the best thing you can do is finish that book and send it off before you start your next one. You'll get such a wonderful feeling of accomplishment when you've typed THE END. Nina, you're such a doll. Thank you! My third book is at ImaJinn right now. And I'm currently working on a new series. Fingers crossed. Great to see you here. How're the new wheels? Is Donna the other girl in the office? I know you have a book in you, too. Thank you so much. I really appreciate you stopping by. I'll see you on Clues N News! Shelly! You're from NZ. How cool is that. Or should I say how warm? LOL I'd love to visit your beautiful country some day and since my daughter lives in Australia I think it's very possible. If you do get a chance to read one of my books, I'd love to hear if you enjoyed it. You can reach me at www.linagardiner.com My webpage. I haven't read one of your books yet, but it's clear that haunted house made a positive impact. I lived in a haunted house as a child, but alas never met my ghost. I was told he would sometimes throw candy to children out from his ghostly shadow. Needless to say I was disappointed I never met him. No candy for this kid. Michelle, I thought someone would comment on the ghosts before this. Grin... Sounds like your ghost was very friendly. Great post. Thanks for sharing. I love paranormals and love finding new authors who write in that genre. Your books sound great. I will definitely have to check them out asap. 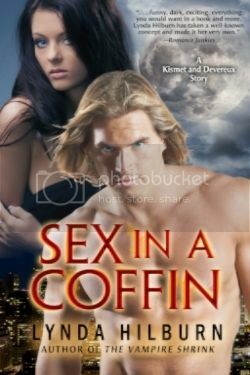 Oooh I just love paranoramal novels. Thanks for sharing with us and giving me another authors name to keep in my "To get" notebook. 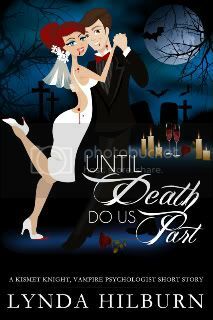 :)I love reading new paranormal novels. 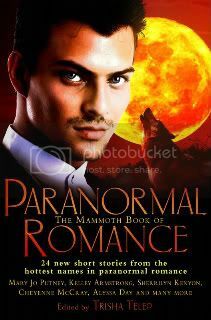 Do you gals belong to paranormal romance dot com? These readers and authors are always listing their favorite paranormal authors. You get lots of good reading tips there, too. 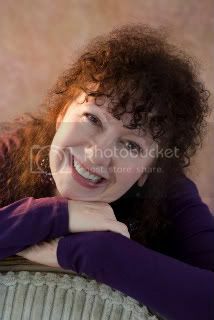 Lina, loved the story about how you began writing paranormals. And to live in an actual haunted house, wow! No wonder your books seem so authentic. Can't wait to read the latest. Paranormals are my favorites and these sound good! Ooh, I really love the blurb for Grave Illusions! I'm a sucker for paranormal books, even though I scare easily lol. Which brings me to your haunted house...I would've been so completely freaked out living in that house! I told my mom after we moved that the house we lived in for quite a few years always felt a little off to me, but I can't ever recall any ghostly activity aside from someone peeking into my room in the dead of night, and everyone in my family denying it was them. Yes, I could probably write a book about all the things that happened in that house alone. Some people are lucky and never see a thing. My sister never did. Candace, the anonymous person above is me. Ooops.